Christmas is nearly here. Have you made a list and checked it twice? ABCatholic has amazing Catholic products for every child on your list. It’s not too late to find the perfect item. They can still fill Christmas orders up to December 20th. Rather than simply purchase an ordinary doll or action figure, why not incorporate faith into a child’s playtime? 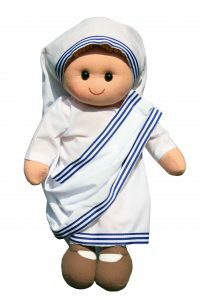 The soft Sister Teresa doll, inspired by the Missionaries of Charity, makes a perfect companion for any little angel on your list. At 14 inches tall, Sister Teresa’s habit is lovingly hand-crafted and she’s the ideal size for cuddling. 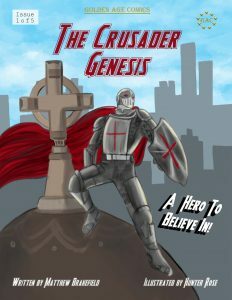 And for the super hero lovers on your list, ABCatholic has a St. Joseph Shining Light figure or The Crusader, an entertaining story in comic book format that recounts the tale of Scott Bishop a young Catholic man trying to live his faith in a turbulent world. In addition to toys, ABCatholic offers host of other products including books, DVDs and Tiny Saints clip-ons (ideal stocking stuffers). To make your last minute Christmas shopping even easier, ABCatholic is offering 10% off of your entire order when you use the promo code ABC10! At ABCatholic, our goal is to touch the lives of little children with the faith from the time they are born. We offer FREE resources online and always have new products being developed. Our mission is to make a positive impact through the products we offer. Since we are a family business we all participate as a family in making your purchase special. Even our son Christopher (1 1/2 years) helps by drawing pictures for our customers! You can also find ABCatholic in the vendor area at the upcoming Ignited By Truth Conference in February. They will be featuring over 100 new items including the Sister Teresa doll and new Catholic comic The Crusader!